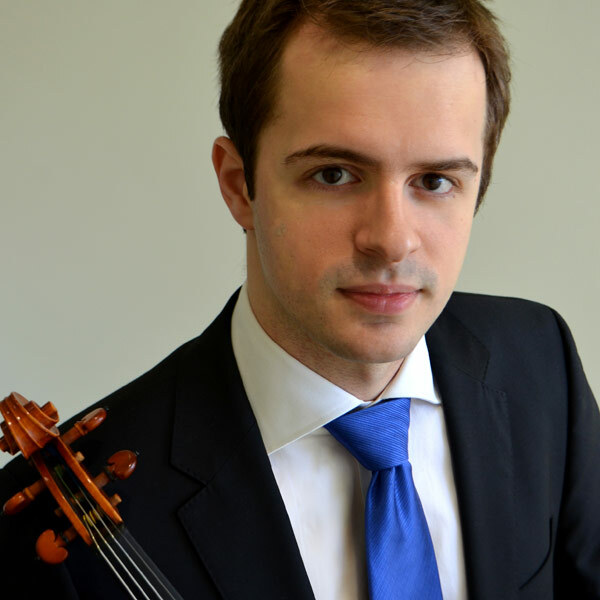 Violinist Geoffrey Herd has given performances in the United States, Latin America and Asia, and is frequently sought after as recitalist and chamber musician. Recently, Mr. Herd has performed recitals at venues such as the Isabel Stewart Gardner Museum of Art in Boston and Carnegie Hall’s Weill Recital Hall. An avid chamber musician, Mr. Herd has collaborated with some of the finest musicians of our time including Ani Kavafian, Clive Greensmith, James Dunham and Laurie Smukler. Mr. Herd has also performed concertos with numerous orchestras including the Rochester Philharmonic, the Thailand Philharmonic, the Cayuga Chamber Orchestra, the Ithaca College Symphony, the Amherst Symphony and the Finger Lakes Symphony. A strong proponent of new music, Mr. Herd was a founding member of the contemporary music ensemble Vicennium Void. The group was the dedicatee of many works and were Artists-in-Residence at the Thailand International Composition Festival in June 2014 and 2015. Mr. Herd returned to the festival in 2016 as a soloist with the Thailand Philharmonic performing John Corigiliano’s Red Violin Concerto. Additionally, Mr. Herd has given a number of premiers including the NY premier of Pierre Jalbert’s Wild Ambrosia, and world premieres of Daniel Knagg’s Ancient Ruins, and Chris Walczak’s Incorporeal Spaces. Equally committed to bringing classical music to new audiences, Mr. Herd is the founder and director of the Geneva Music Festival in the Finger Lakes region of New York State. Each summer, the Festival presents a three-week long chamber music series, bringing in esteemed guest artists from throughout the United States, as well as donating educational concerts to local school districts. Mr. Herd joined the faculty at the University of Tennessee-Knoxville in August 2016. He is also a doctoral candidate at the Rice University’s Shepherd School of Music where he studied with Paul Kantor. Previous teachers include Ani Kavafian, William Preucil and David Updegraff.